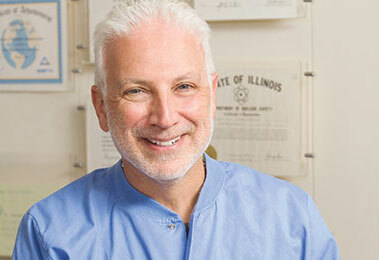 Cavity Detection Technology - Chicago | Benjamin S. Fiss, D.D.S. Detection of dental caries (commonly called cavities or tooth decay) is essential for tooth health. Ideally, caries could always be detected early on so that as much of the tooth as possible could be saved. However, for many patients, identification of dental caries has not been easy due to age, concerns about radiation, and other factors. The DEXIS™ CariVu™ caries detection device is a new, advanced technology that uses light illumination to detect dental caries. This incredible cavity detection device is now being used by Dr. Fiss at his dental practice. Dr. Fiss continually provides his patients with the most advanced treatments so that they can get the best dental care. With the addition of DEXIS™ CariVu™ in his office, Dr. Fiss can now use innovative light technology to identify and monitor dental caries. The DEXIS™ CariVu™ device uses near-infrared (NIR) transillumination to detect dental caries and cracks without any ionizing radiation. The light technology causes the enamel to appear transparent and porous lesions to trap and absorb the light, thereby allowing the clinician to see through the tooth. The images expose the structure of the tooth and any carious lesions, and they can be read just like X-rays. This provides a wonderful, enhanced way to see dental fractures and identify caries even around tooth restorations. It also allows the dentist to monitor tooth decay more closely. Many patients have reasons to avoid radiation, such as pregnancy and cancer. Other patients are especially concerned about radiation and refuse to get dental X-rays. Unfortunately, for this reason, patients may go many years before caries are accurately identified, at which point they may require aggressive and painful treatment. 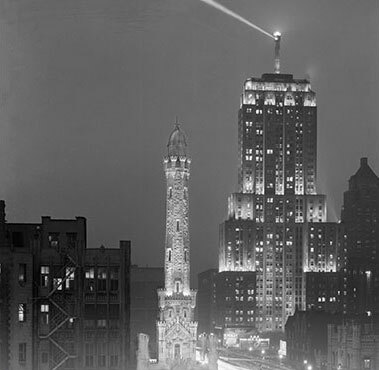 There is no need for concern with DEXIS™ CariVu™, which operates solely under light technology. 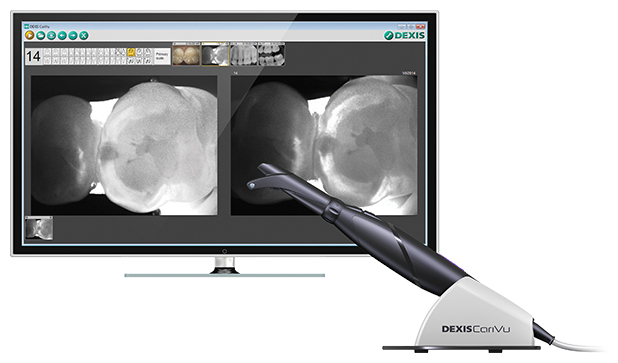 Without any ionizing radiation, the DEXIS™ CariVu™ can detect dental caries with an even better view than radiography. This alternative diagnostic method can be used in combination with or instead of X-rays to help detect cavities sooner. In addition to being a huge blessing for patients who are concerned about radiation, the CariVu™ is an excellent device for very young children. The device is much more comfortable in small mouths than the bitewing tabs required for X-rays. Furthermore, children can see on the monitor what is happening during the examination, even as it is going on. This helps them to be more engaged and cooperative so that they feel more involved and positive about their dental experience. Too many medical professionals do not view the doctor-patient experience as cooperative or even as instructive. When the patient comes in, the doctor assesses the situation and gives a diagnosis and treatment plan, and the patient leaves. Using the DEXIS™ CariVu™, Dr. Fiss can operate in a different way. The images presented with the DEXIS™ CariVu™ can be seen by the patient immediately on the screen. Patients can feel more involved in the process, and they can view with their own eyes what is happening to their teeth. This can be especially comforting for new patients, young patients, and those who tend to be more skeptical. The DEXIS™ CariVu™ shows both dentist and patient information that cannot be obtained any other way, and it provides an opportunity for co-discovery and co-diagnosis. Patients become more understanding and accepting of treatment options once they become a part of the process and can see what is going on. The DEXIS™ CariVu™ device is what makes this possible and even allows for early diagnosis so that less aggressive treatment may be required at a later date. Chicago Cosmetic Dentist Dr. Benjamin Fiss is excited to bring the DEXIS™ CariVu™ caries detection device to his office. With this new technology, Dr. Fiss can provide his patients with the best oral care possible. To schedule your appointment with Dr. Fiss, please call (312) 951-5230 or fill out our online contact form. For your convenience, you can also book your appointment online.